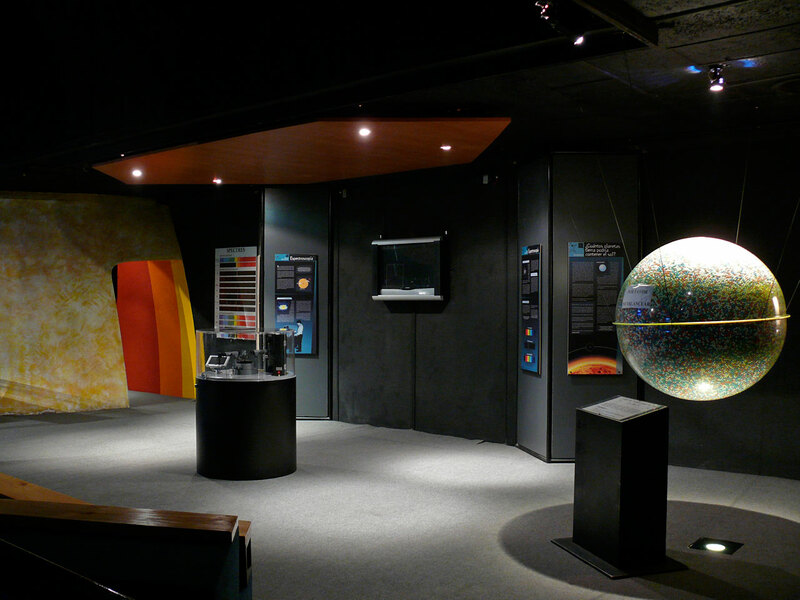 The Museum of Science and Technology in Santiago has opened its renovated Astronomy Hall, a project supported by ESO in Chile. Massimo Tarenghi, ESO Representative in Chile, and Mónica Rubio, President of the Corporación para la Divulgación de la Ciencia y la Tecnología (CORPDICYT, the Organisation for the Popularisation of Science and Technology), inaugurated the new Astronomy Hall at the Museum of Science and Technology on 22 October 2009. The museum is located in the Quinta Normal Park, in the heart of the Chilean capital, Santiago. This project is part of celebrations in Chile of the International Year of Astronomy 2009 (IYA2009), the global celebration commemorating the first use of a telescope to view the Universe by Galileo, 400 years ago. The Museum of Science and Technology in Santiago, run by CORPDICYT, is visited every year by 100 000 people, mostly children and young people. The Astronomy Hall was created in the 1990s, becoming a popular destination for students. More than 10 years after it first opened, the exhibition has now been completely renovated, with the addition of new interactive demonstrations. “The renovation of the Astronomy Hall is very significant for us, considering the important position of astronomy in Chile today, due to the international projects developed in this country”, said Mónica Rubio. The exhibition includes different types of telescopes, such as the kinds used by Galileo and Kepler, a scale model of the Solar System, a heliostat to show sunspots, a scale to determine the weight of visitors on different planets and a special corner on archaeoastronomy and the observation of the night sky by native American cultures. The Astronomy Hall renovation was possible thanks to the financial support of ESO, through the ESO-Chile Joint Committee, an annual fund for the development of astronomy and related sciences in the country, which was created in 1996 as part of the supplementary agreement between ESO and the Republic of Chile.